The release last month of President Donald Trump’s infrastructure plan and the continuing need for a permanent Highway Trust Fund fix offer two key reasons why ARTBA members will want to be in the Nation’s Capital May 14-16 for the annual Federal Issues Program (FIP) and Transportation Construction Coalition (TCC) Fly-In. “This year could be one of the most consequential in decades for transportation design and construction professionals as the Trump administration and Congress are poised to act on a major infrastructure package and permanent revenue solution for the ailing Highway Trust Fund,” ARTBA Chairman Matt Cummings says. 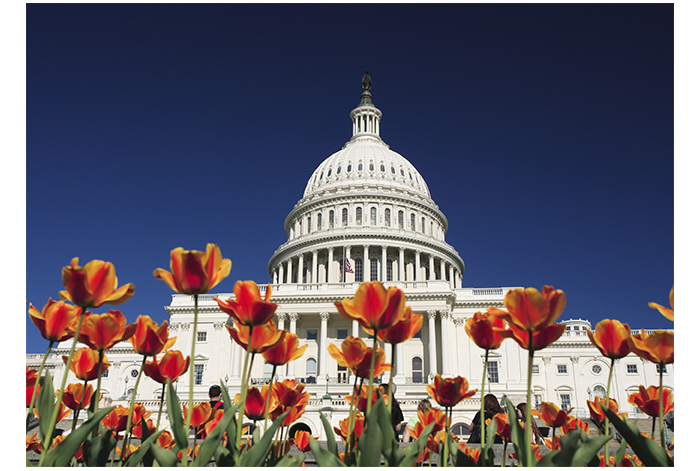 The FIP/TCC Fly-In is your chance to meet face-to-face with your members of Congress to press for action. Bring several members of your firm or agency with you. A strong industry grassroots presence is critical during this once-in-a-generation opportunity to boost infrastructure investment. The FIP will also feature a special May 14 dinner to honor the 2016, 2017, and 2018 ARTBA Foundation Hall of Fame classes. The deadline for the discounted room rate at the Grand Hyatt Washington is April 20. (Note: This is not the Hyatt Regency Washington, site of the meeting in previous years.) Check out the FIP/TCC Fly-In program website to register and book your rooms now!